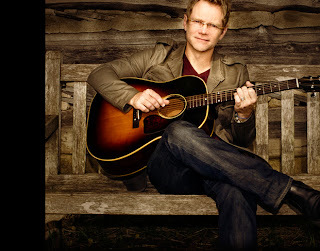 Oh yeah baby... my boyfriend, Steven Curtis Chapman in case you didnt know who I'm talking about, released his new CD yesterday! This is probably CD #132 ... its gotta be close... the reason I think its that many is because I have every CD he's made. Even most of the CD's that have him just singing a song on - like "The Navitity Story" soundtrack. I'll take my Steven wherever I can get him. So I was counting down till lunch time. Afterall, stores aren't open when I come into work at 7 am... & I wasnt about to wait till AFTER work. Are you crazy? That's FOR-EV-ER! (I feel like such a teenager saying that). Noon came & I picked up my purse & was all giddy getting in my car. 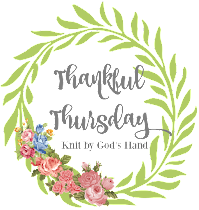 I practically am running into Family Christian bookstore... pass the front sales table, pass up all the picture, pass up the books.... oops - hold up... I backtracked. Found a great book from Billy Graham on clearance for $4.98 that I couldnt pass up & THEN am trotting back to the CD's. The sales lady must have seen my panic because she asked if she could help me. I felt like grabbing her shoulders & shaking her like the end of the world was coming & screaming, "WHERE IS IT?" Instead I calmly said, "Isnt today the release of my boyfriend's Steven Curtis Chapman's CD?" To which she said, 'Oh yeah... it is. We havent even pulled the CD's out of the box yet"
... people, let me tell you - I GASPED! How could it be near 12:30 & you havent even pulled it out yet? Ummm..... of course I did... its Steven Curtis Chapman! What a dumb question Ricky! I just think it's so "cool" that your husband's okay with you having a boyfriend on the side. And such a famous one too! He must know that you'll always come back to him. How very modern of you both. p.s. I don't own one C.D. But I do have O.C.D. if that counts? m.
Just happy to know I didn't seen your name on the news for having thoroughly kicked the fire out of the sales lady. If she only knew how close she came! I laughed like a crazy lunatic the entire time I read this post. The funny thing is as soon as I read the title I knew it would be about SCC! LOVED IT and SO NEEDED THIS LAUGH! For shame. I am surprised that Steven didn't send his best girl the first copy of his new CD. I think this is a sign of the end times.